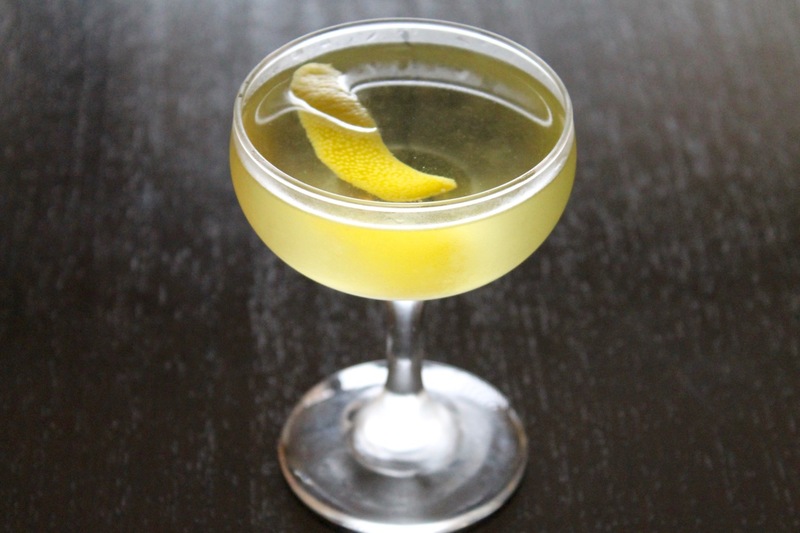 I've shared a number of cocktails that combine smoky mezcal with herbal-sweet yellow Chartreuse. You can find them in the related links below. The All Betts Are Off might be my favorite expression of this duo yet. The drink was created by Matt Lanning of The Bitter Bar in Boulder, Colorado, and named it with a nod to Richard Betts, the man behind Sombra Mezcal, which Lanning's original recipe calls for. I substituted Del Maguey Vida, a wonderful mezcal for making cocktails that's also easier to find than Sombra. Gaz Regan included the drink in his blog's 2011-2012 list of 101 Best New Cocktails. I love how he describes the role blanc vermouth plays in the drink: "The Dolin brings a creaminess to this quaff, it turns out—it acts like a white fluffy mattress on which the other ingredients play." Combine mezcal, Chartreuse and vermouth in a cocktail mixing glass with ice. Stir until very cold, then strain into a chilled coupe glass. Garnish with a grapefruit (or lemon) twist.